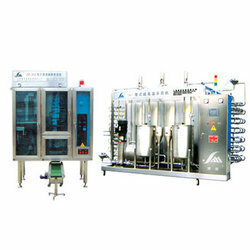 Our range of products include uht food processing plant and uht plant. We are one of the trusted names of the industry engaged in offering genuine quality UHT Food Processing Plant to the esteemed customers. These processing plants are manufactured by employing the latest technology and advanced machinery, under the expert supervision of our team of experts. 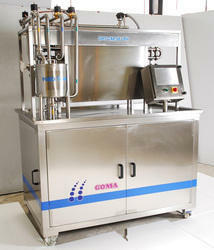 UHT plants are widely used to process milk, flavored milk, coconut milk, soya milk, yogurt, fruit juices, cream, and others. We are a trusted name of the market engaged in offering high quality UHT Plant to the esteemed customers. These plants are manufactured using high-grade raw material and components, in compliance with the international quality standards. UHT Plants are widely used to cater to a wide range of applications, such as for milk, flavoured milk, coconut milk, soya milk, yoghurt, fruit juices and cream. Looking for UHT Plant ?